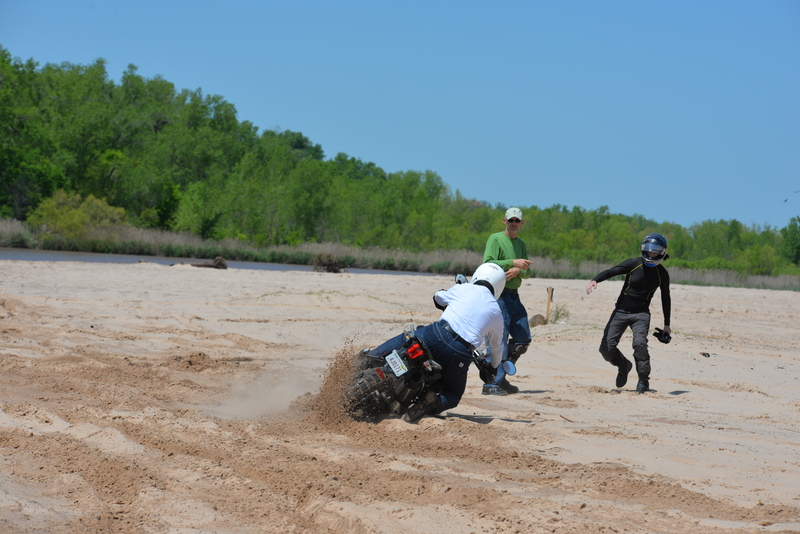 DART Mission Statement: DART aims to provide quality off-road training at a fair price to all who wish to learn. Contact Bill Dragoo at bill1dragoo@gmail.com or phone/text at (405) 830-6630 for more information. It was a perfect pair of days in April, with a few spitting raindrops doused dry by buckets of sunshine. 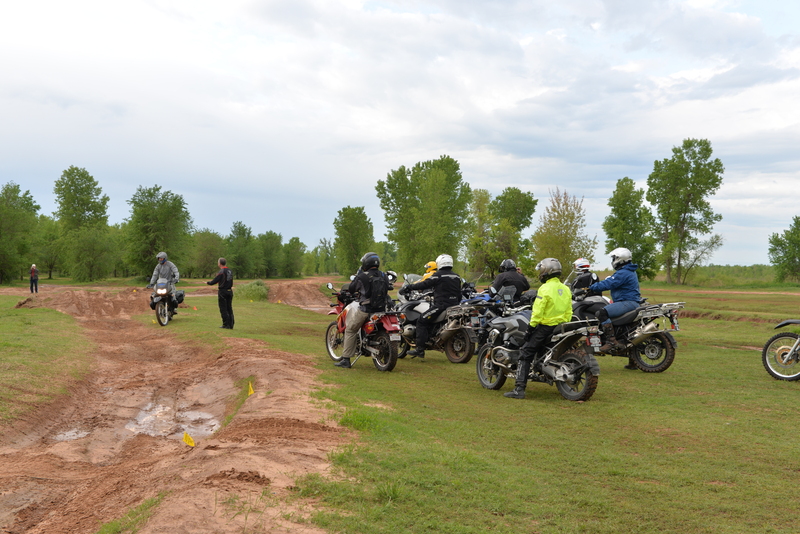 It was also a time to remember for a dozen riders who traveled to Oklahoma from as far away as Little Rock, Arkansas, Grand Prairie, Texas and even Minneapolis, Minnesota for two days of adventure rider training. 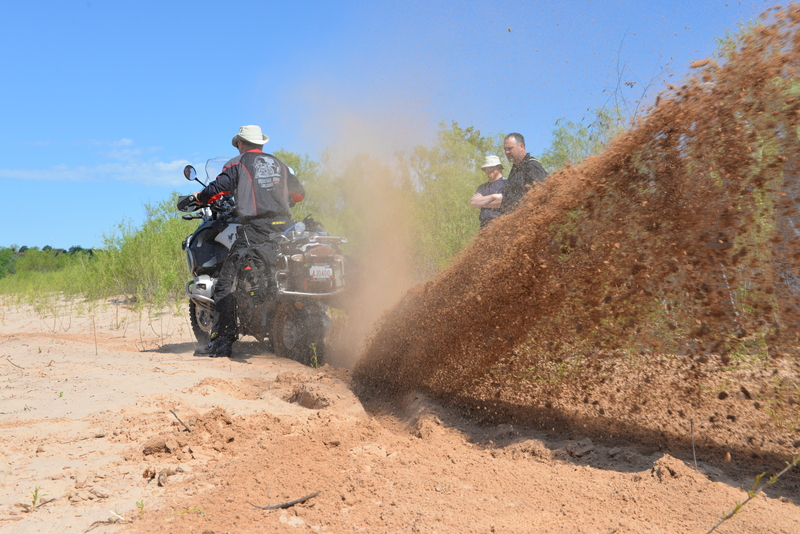 These men came, some with Oil-head GSAs, trail tried KLR650s, a brand new KLX 250s, and a couple of shiny new Water Boxers, all hoping to polish their skills on what are often considered giants among the dual sport motorcycle kingdom. Everyone was challenged and enlightened as they buffed some of the new off of those showroom shiny works of art and discovered a priceless masterpiece beneath the gloss. 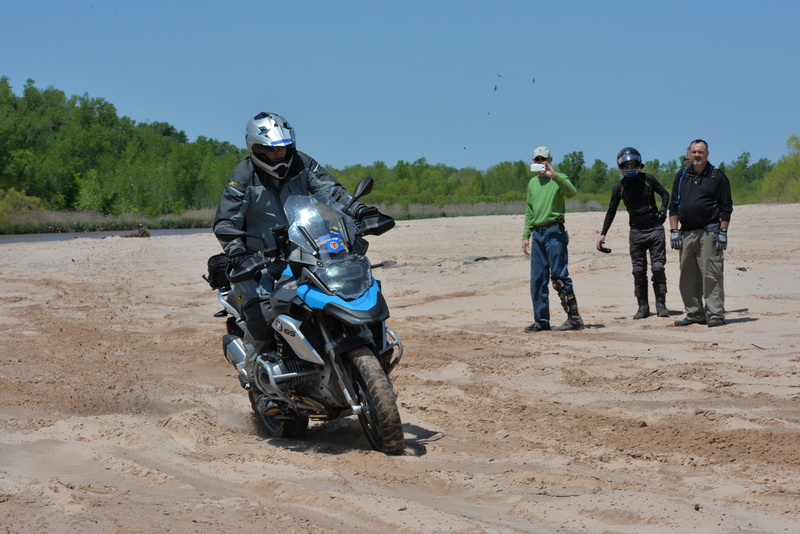 They discovered their own potential and that of a large but capable motorcycle in it’s natural environment. Kudos to the dirty dozen who turned their backs on their reservations about tackling rough terrain and committed time and again, over some 17 comprehensive and increasingly difficult exercises, to laying it all on the line, giving all they had, saying NO MORE to old habits, and heading down new trails, standing tall with eyes forward towards adventures unknown. 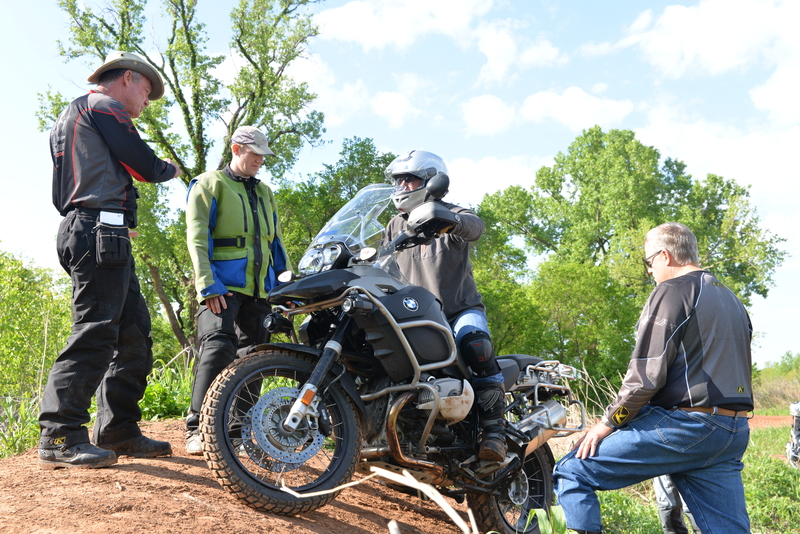 Thanks to our supporters, AC Spencer of BMW & Euro Tek of OKC, Eric Hougen of Wolfman Motorcycle Luggage, & Carl Parker of ADV MOTO Magazine and of course, Greg Snow and his crew at Sundog Trails for providing such an amazing venue. 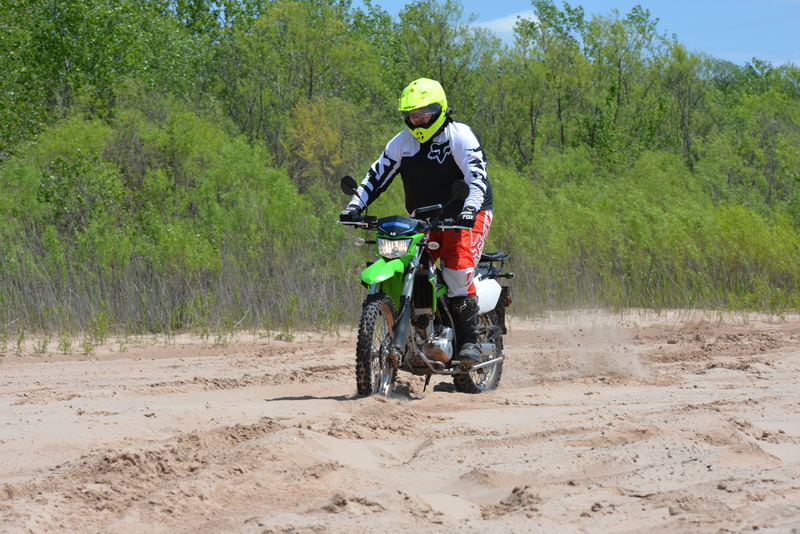 Also, thanks to Josh Jewell and Tobin Vigil for their help on Monday, Chris Johnson for demonstrating his expert trials skills adapted to a heavy dual sport machine and last but not least, my incredible wife, Susan for her never ending support and fabulous photography. “The bruises are blooming, but the smile out shines them. As I sit here listening to the thunder, I’m delighted we had two beautiful days [and no flies or mosquitoes, along the Canadian River? How did you do that?]. Rain and mud would have been ok, too, they are valid parts of such an exercise. My skills came up several notches, and my comfort zone several more. Great class, great bunch of people. Thanks. Thanks, Greg Snow and the crew at Sundog for a beautiful facility! 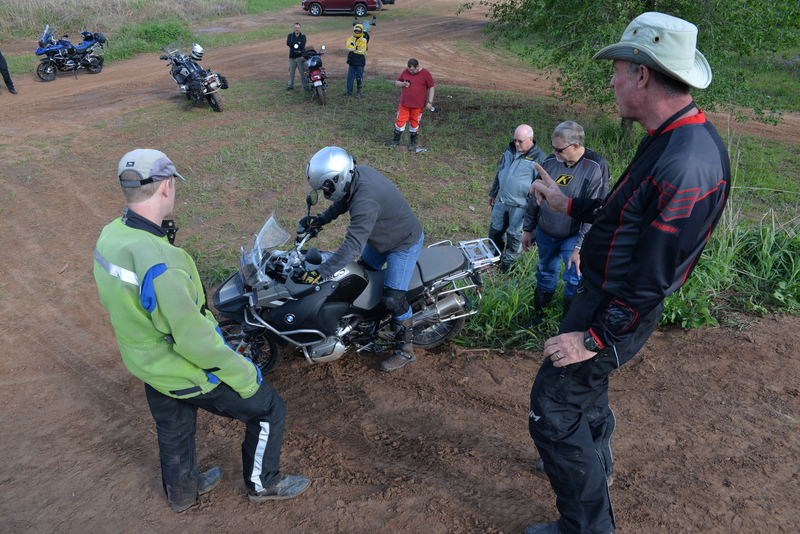 Everyone pitched in to help… Aaron Moore of Ardmore, managing his GSA on a hill fail exercise. Stress…If feels great to be back to the bottom. We witnessed courage beyond belief…Aaron Tygart of Plano, Texas demonstrating grit…and eating a little in the process. Sand…a nemesis defeated! 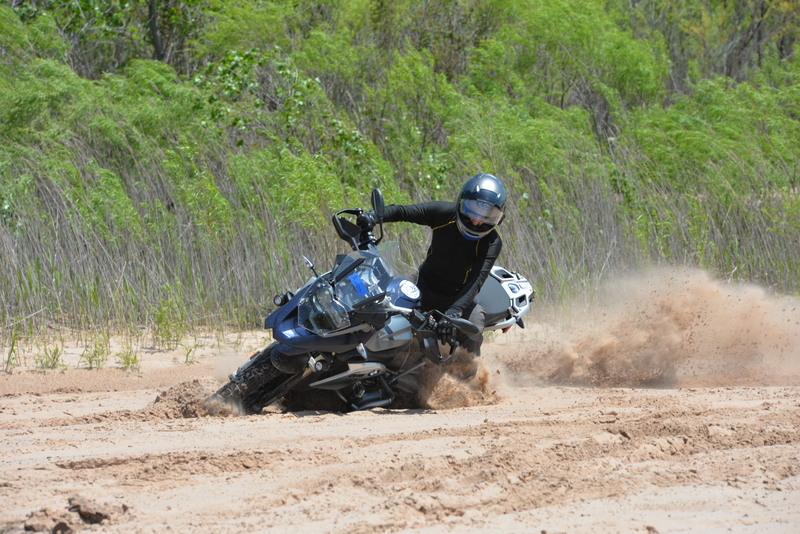 Steven Marshall of Moore, Oklahoma, fresh out of Brown’s Driving School’s Motorcycle Safety Course and already playing in the dirt with the big boys. Every action has an equal and opposite reaction…sometimes desirable…Getting unstuck is all about thrust. 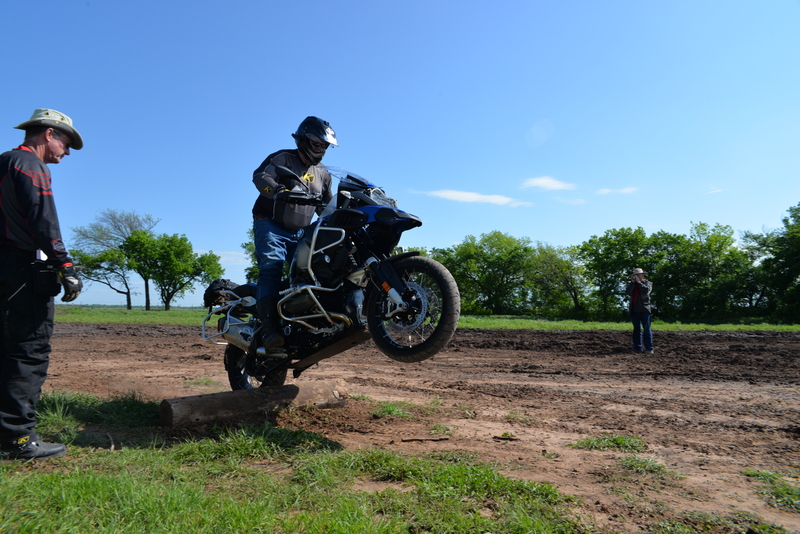 We witnessed demos…Bill Dragoo demonstrates a log crossing. 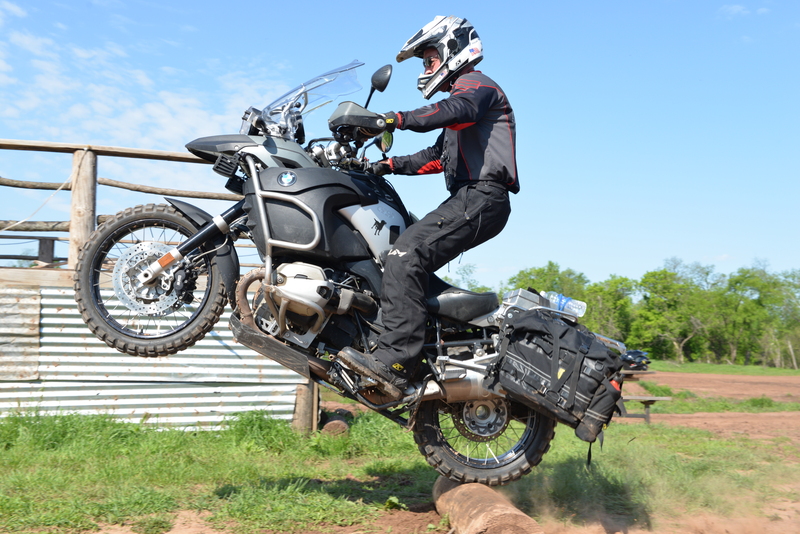 Commitment…Bruce Parker rides it to the ground before giving up on his Triumph Tiger XC. Chris and Aaron struggle to figure out which way to run! We witnessed amazing growth and success…Jay Thomas said he never would have considered trying to cross a log with his new Water Boxer before taking this clinic. Victory! Every rider faced some demons and came out the winner. Any planned training in Texas in the near future? Derrick, we just posted three dates in Central Oklahoma for early 2018 but don’t have any Texas dates at the moment. Where in Texas are you? Is there any way we can be notified via email of up coming events? Great idea! We will figure out how to do that. Thanks. Any chance you’ll be running immersion training east of the Mississippi in 2018? We have a couple of things in the works. Trying to nail down dates in Vermont, soon to be announced. 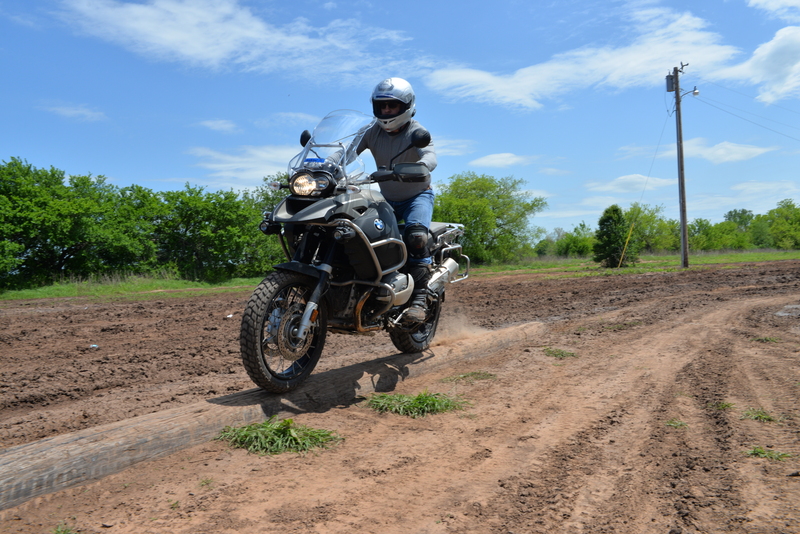 Also, not an immersion tour but we likely will do moto training at Overland Expo East in North Carolina in November. Can you make any rental available for someone considering coming from west coast?